‘I was fine and then all of a sudden I couldn’t move without pain – what did I do’? This kind of comment is all too familiar when patients arrive at the clinic suffering with back pain. Anatomically, low back pain can come from a variety of structures, most commonly the spinal facet joints and associated muscles but, also exiting nerve roots and ligaments. 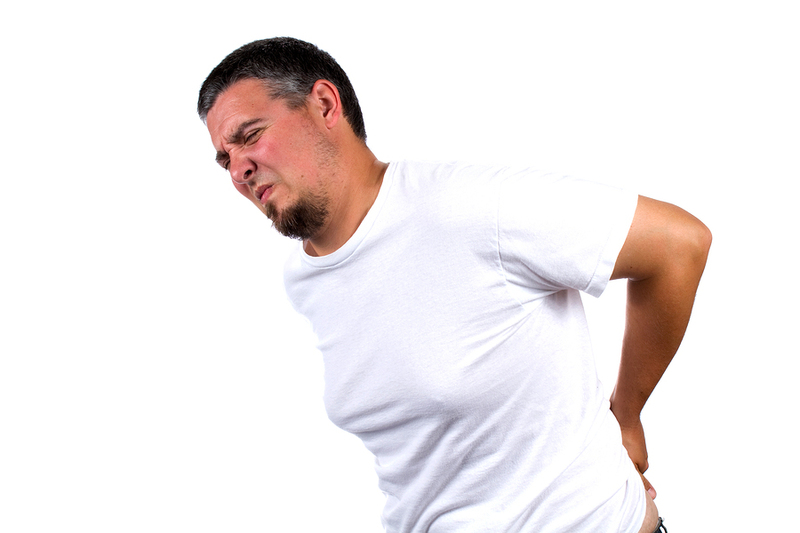 In more serious situations back pain can occur from fractures, infections or tumours. Poor posture, prolonged sitting and inactivity are by far and away the biggest causes of “normal” back pain in the general population. Our bodies are meant to move. Inactivity will result in your muscles becoming weaker, increasing stress on your skeletal structure that over time leads to more wear and tear. Think about it – how many hours do you spend sitting at your desk, in comparison to how often you move, or stretch? Back pain can be the result of a one-off badly judged lifting episode usually associated with twisting and holding the upper body away from the core – thereby causing the lumbar stabilising muscles to “fail” and the facet joints to be sprained. Manoeuvring a small child out of a child seat in the back seat of a car or moving heavy flower pots around are typical incidents that I see result in a patient arriving with back pain. For some people simply standing for too long can bring on strong spasms of low back pain. This may usually be eased quite quickly by some judicious stretching. Jumping down from a height and not softening the knees on impact, again compressing the spine, in particular the joints and sometimes the discs can result in back pain. What is the recommended treatment for back pain? There are a number of treatment options, most of which are available here at The Waldegrave Clinic. Chiropractic is a good place to start but our multi-disciplinary approach can see chiropractic treatments combined with physiotherapy, acupuncture, aromatherapy and of course Pilates.